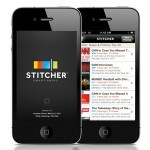 Construction Industry Podcast is now on Stitcher! Remontech is on the Business London Magazine! 1,000 Downloads for the Construction Industry Podcast! Continuing our interviews on building green, meet Michelle Lohr from GnM Lohr Homes, out of Texas. GnM specializes in building green homes and Michelle offers us great insights on the industry and trends. Enjoy!